I had initially intended to modify Marlin so that it passes the extruder commands to the expansion board over I2C (or even using the pins as SoftwareSerial). When that seemed like a bad idea, I thought I can have Marlin set and query the heater and motor direction using I2C, then switch one of the pins to a mode that would simply pass on the incoming steps signal to the step pin on the expansion board and use the second pin to switch it back to I2C. After a second though, I decided that’s probably not a good idea either. Aside from fixing a small problem with the stepper driver footprint being a bit too wide, stepZeroExp did not have any problematic issues. 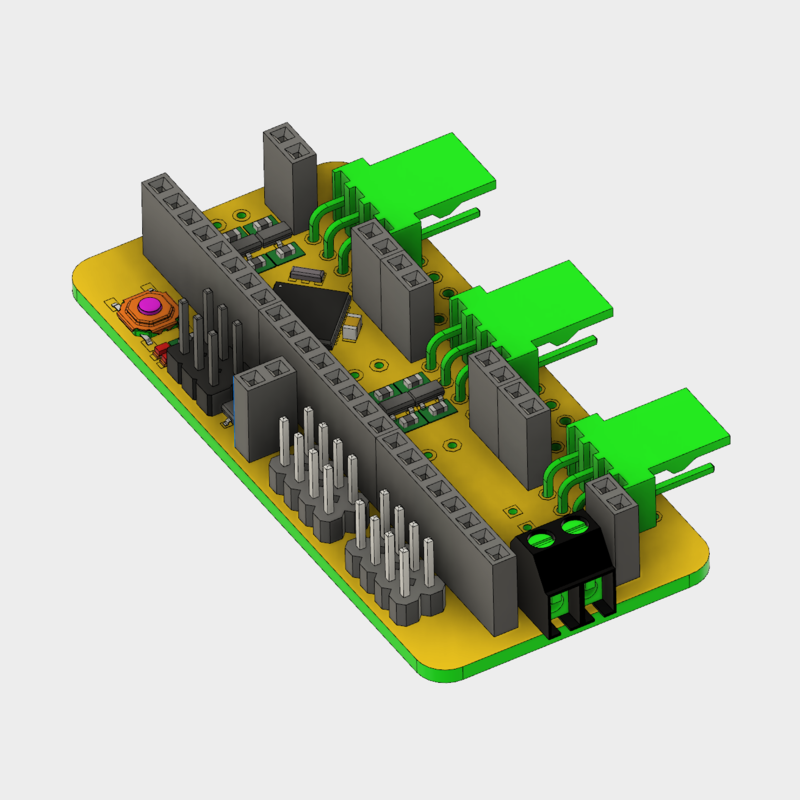 I had already broken out the UART pins in addition to the I2C pins in stepZeroExpR1, so I would have been able to use the new stepZeroR2 expPort, but I redesigned it to use the newer pinout for convenience. I also added a MOSFET to control a second fan, thus having one fan cooling the extruder itself while the other is cooling the print. Finally, I changed the stepper driver headers to two regular full rows (unlike on the main board) and moved it to the center of the board.